This year more and more of My Vacation Lady’s clients are heading to the Big Island of Hawaii and at the top of their list of must see’s is to see lava flowing in Volcanoes National Park. While travelers can view the current flow on their own, officials recommend booking a tour for safety’s sake. “We have a range of tours led by trained professionals who provide guests with safe and respectful viewing opportunities, as well as cultural context for a memorable experience,” said Ross Birch, executive director of the Big Island Visitors Bureau. Within the park itself, the National Park Service rangers and the county of Hawaii have set up areas to provide safe lava viewing areas with great views. These will change based on the current flow. Hiking- There are a few reliable tour operators that offer guided hikes to as close to the lava flow as safely possible. These are for the heavy duty hikers- 3.5-7 hours of hiking over up to 8 miles uneven terrain and rugged landscape but the views are worth the effort. From the air- There is little more thrilling than flying in a helicopter over the park and seeing the lava bursting from the volcano. Helicopter tours are offered from both the Hilo and Kona side and are on the pricey side but the view can be spectacular. By sea- Whether you are taking a week long cruise or a couple of hour boat tour, seeing the lava flowing into the sea is a fantastic sight. 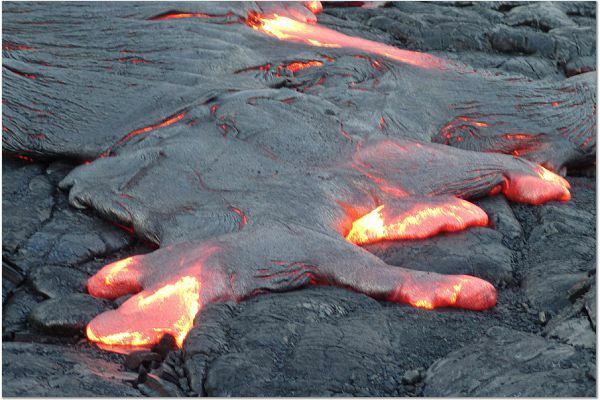 Since the flow of lava changes daily, the tour operators can never guarantee that you’ll see lava flowing but they know the best places to see it. My Vacation Lady can help plan your Hawaii vacation- whether you want to stay in or near the park or on the west coast and take an excursion to see the park.